We must admit, we were a little surprised when the Sapphire HD 5850 Xtreme 1GB arrived on our desks; had the postman found a package due for delivery back in 2009? In fact, Sapphire has managed to acquire a large number of the remaining HD 5850 GPUs and has decided to release a brand new cut-price card based on the last-gen chip. 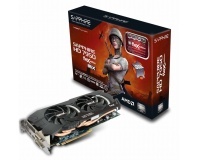 You would be wrong to write off the Sapphire HD 5850 Xtreme 1GB as last-generation junk, though. 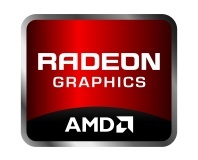 While the HD 5850’s Cypress GPU has since been superseded by the Barts GPUs of the Radeon HD 6800-series, AMD’s first-generation DirectX11 GPU still has plenty to offer. For example, the HD 5850 1GB has a higher stream processor count (1,440 stream processors) than the Barts Pro GPU of the HD 6850 1GB (980 stream processors) and the Barts XT GPU of the HD 6870 1GB (1,120 stream processors). More stream processors usually mean greater speed and a better chance of handling future games, although it's a little bit more complicated than that. The Cypress design on which the HD 5850 is based has a less capable front-end, so it can’t accept work (particularly tessellation) quite as efficiently as a Barts GPU. 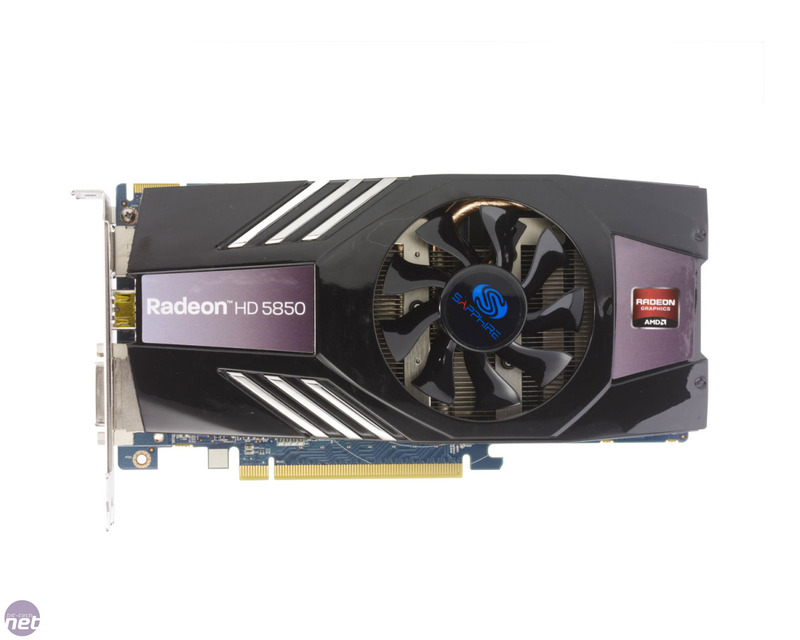 We should also point out that Sapphire has a full range of Radeon HD 6000-series cards as well – we’re just looking at this card because it’s new and interesting. Despite its hyperbolic name, the HD 5850 Xtreme 1GB actually uses standard HD 5850 1GB clock speeds, with the GPU operating at 725MHz and a memory frequency of 1GHz (4GHz effective). While the newer Barts GPUs boast higher GPU frequencies (the HD 6850 1GB – the lesser of the two – runs at 775MHz), the other differences between these and the older Cypress models are subtle. Sapphire has used both a custom PCB and a custom cooler for the card. 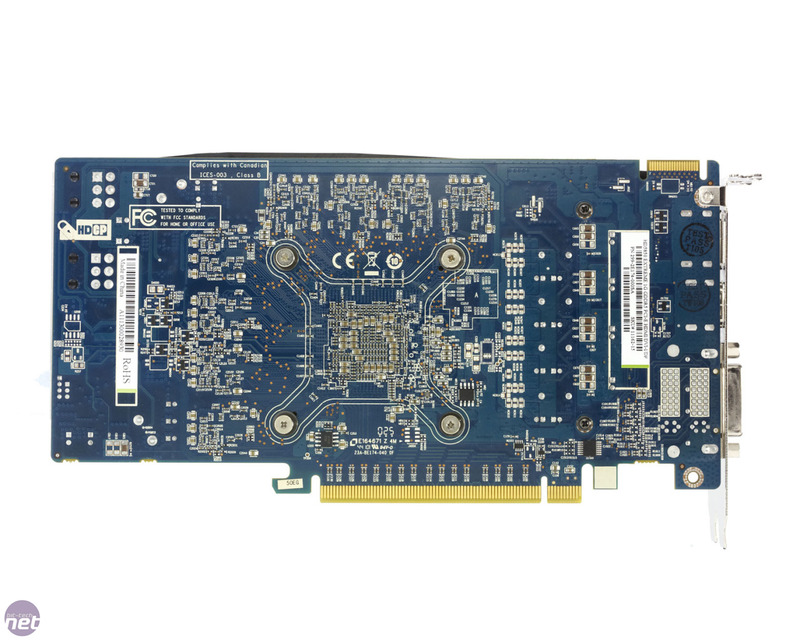 Measuring 215mm in length, the dual-slot card still requires a pair of 6-pin PCI-E power connectors, which are end-mounted. Meanwhile, the card’s outputs have been reduced to a single dual-link DVI, an HDMI and a DisplayPort, with a DVI to D-Sub adaptor included in the box. The card’s cooler only cools the card’s GPU, with a copper contact plate connected to two 8mm copper heatpipes that run through a tight pack of aluminium fins. Mounted on the black plastic shroud above these fins is an 80mm fan that blows air down through the cooling fins and over the card’s PCB. However, this means that the card exhausts hot air into your case rather than out the back. 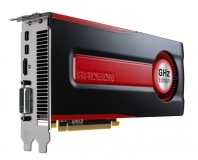 AMD has announced an overclocked version of its Radeon HD 7970 3GB, claiming it's the world's fastest single GPU. 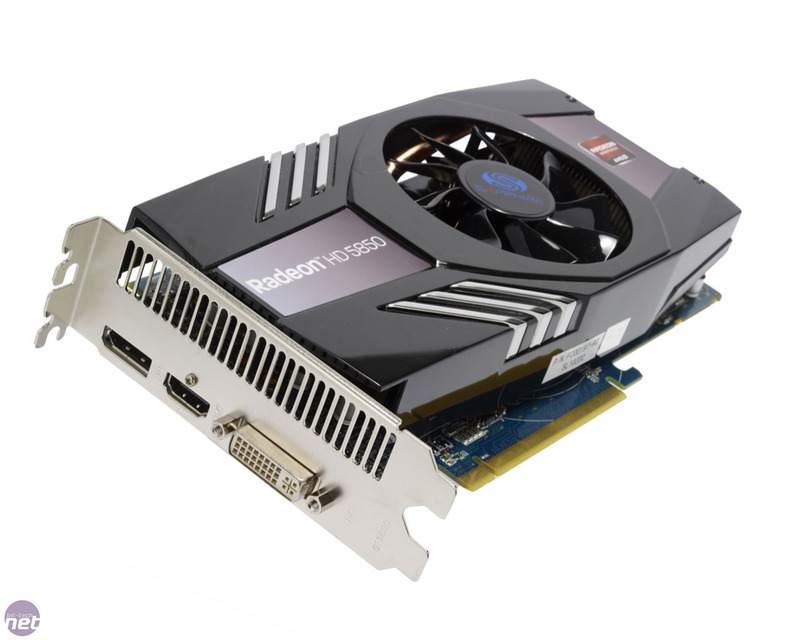 Sapphire has launched the first AMD Radeon HD 7000 series board with FleX Eyefinity support. Turkish tech site Donanim Haber has got its hands on the clock speed details of AMD's upcoming card design.